I hate the fact that church is often a place that is safe, steady and dull. I love the way that Jesus leads in adventurous, new and exciting ways. Do you want your faith to be predictable and safe or do you enjoy travelling with Jesus on his Roller Coaster of faith? It must have been amazing to be with Jesus when he was living on the Earth but it must have been incredibly challenging as well. Jesus certainly didn’t offer his 12 closest followers a comfortable and safe journey of faith, instead he asked them to do some difficult and faith stretching things. When they were considering how to feed the 5000+ crowd, Jesus said to his disciples ‘you feed them’. When the disciples were panicking in the storm, Jesus brought peace and then asked his them why they had no faith. Rather than letting them watch him do all the miracles, Jesus sent out the 12 to minister without him. When was the last time you had to take a leap of faith? If God hasn’t surprised you recently then either Jesus has changed or there is something wrong with your faith. I’m pretty sure that Jesus hasn’t changed, so the question is will we look to him to lead us forward? Are we prepared for Jesus to surprise us and do we long for and expect him to do even more than we might ask or think? 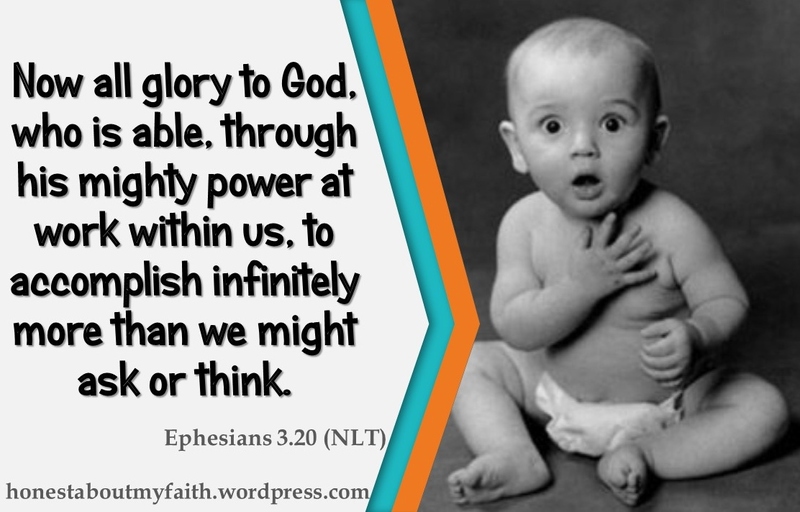 Perhaps it’s time for us to turn back to God with an increased faith that he will surprise us? This entry was posted in Being honest about our faith, Faith, Following Jesus and tagged adventure of following Jesus, called to follow Jesus, Calming of the storm, Ephesians 3.20, Feeding of 5000, God of surprises, jesus sending out the 12, rollercoaster story, surprised by Jesus. Bookmark the permalink.